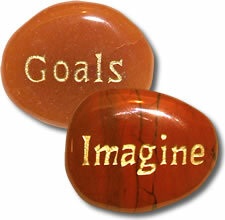 Pocket Stones™ are deeply engraved with inspirational and motivational words. These ancient, finely etched, semi-precious stones make meaningful and memorable gifts ideal as special event gifts, fundraising keepsakes and recognition celebration pocket stones. Many national and local community and service organizations use our etched pocket stones to thank and honor donors, contributors, volunteers and staff with words like - .